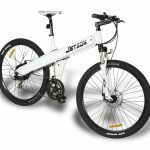 –BLAZE A TRAIL on the Jetson 26″ E Mountain Bike featuring aluminum alloy frame and a rear mounted gear hub. With a maximum range of 40 miles and top speed of 20 mph, there is nowhere off limits. –POWERFUL 500W MOTOR releases zero carbon and zero emissions. Uses a standard 110V outlet to charge in just 4 hours. 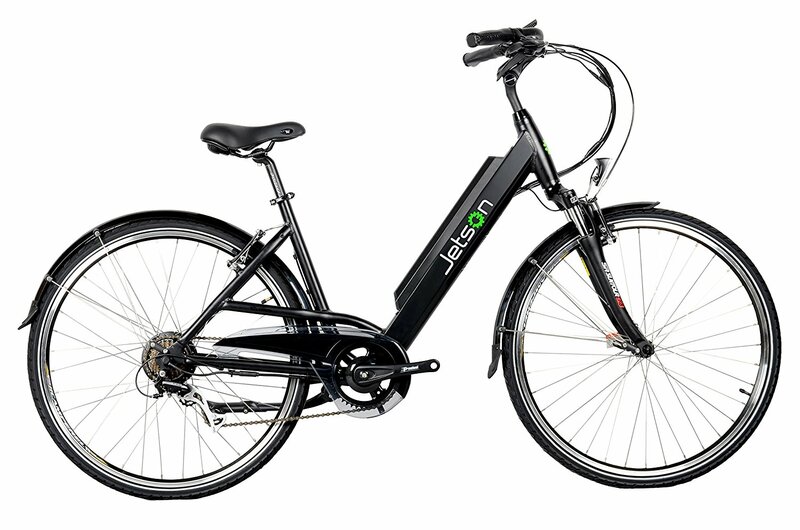 The Jetson 26″ E-Bike is a 100% fully electric, rechargeable mountain bike. 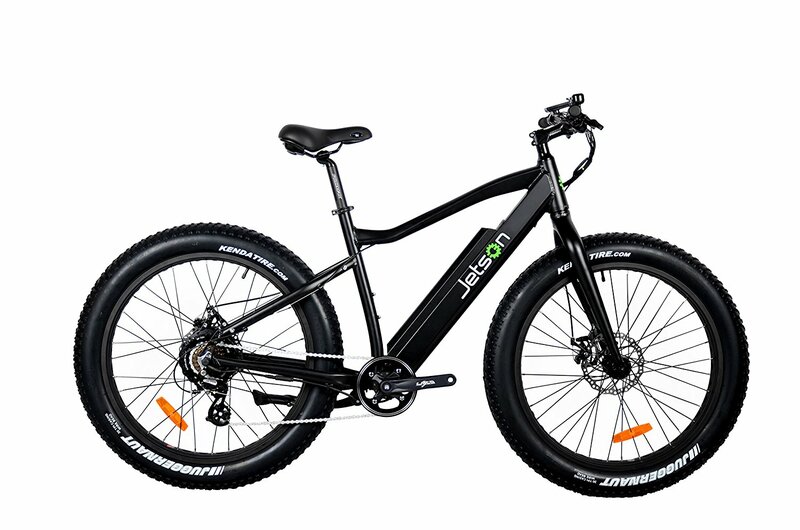 –ENERGY SIPPING 36 volt Lithium Ion battery is discreetly positioned in the frame’s down tube, protecting it from impacts and debris and maintaining the rugged facade of traditional mountain bikes. –26″ ALL-TERRAIN TIRES feature knobby tread for confident handling in a wide variety of conditions. Specially designed for style and stamina, Jetson E Mountain Bike makes every trail conquerable. –LCD DISPLAY provides read-outs of current speed, distance and battery life. A torque sensor detects when you’re applying pressure to the pedals, and tells the motor to provide an assist when you need it. With the Jetson E Mountain Bike, you always have the stamina to see what lies beyond. Our fully electric, rechargeable mountain bike gives you the extra assist with a powerful 500 watt motor and robust 26″ Caballero tires. It looks just like a traditional mountain bike so you can tackle the trails right alongside your buddies, and receive a discreet boost from torque sensing pedals when the going gets tough. 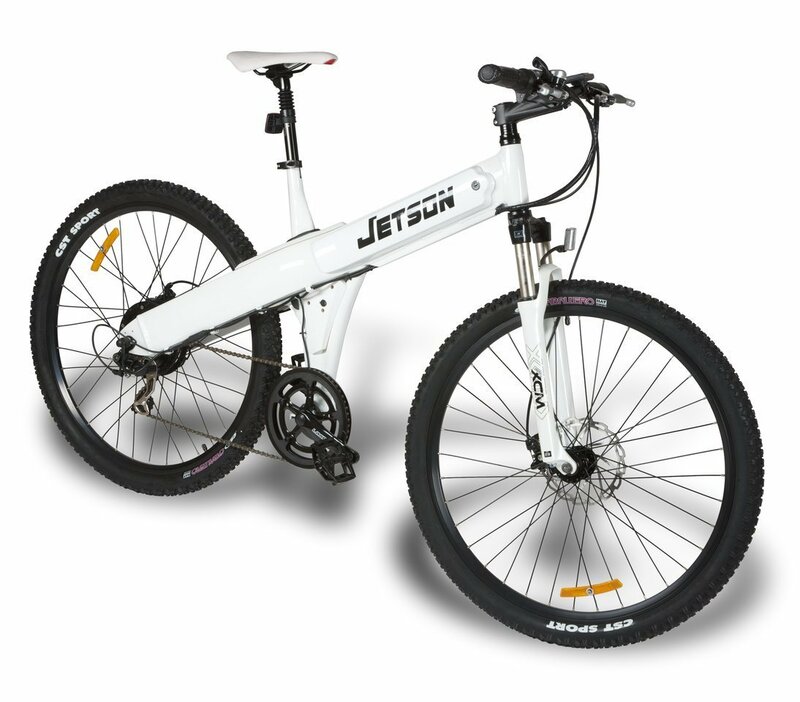 The Jetson Electric Mountain Bike boasts a sturdy aluminum allow frame to withstand the bumps and impacts of rugged terrain. An illuminated LCD screen keeps you apprised of battery charge level, speed and distance. An energy-sipping 36-volt Lithium Ion battery will carry you up to 40 miles on a single charge. Recharge the battery by either plugging the power cord into the bike’s easily accessible charging port; or removing the battery from the down tube and taking it indoors to plug into a 110V outlet. Make every trail a destination. 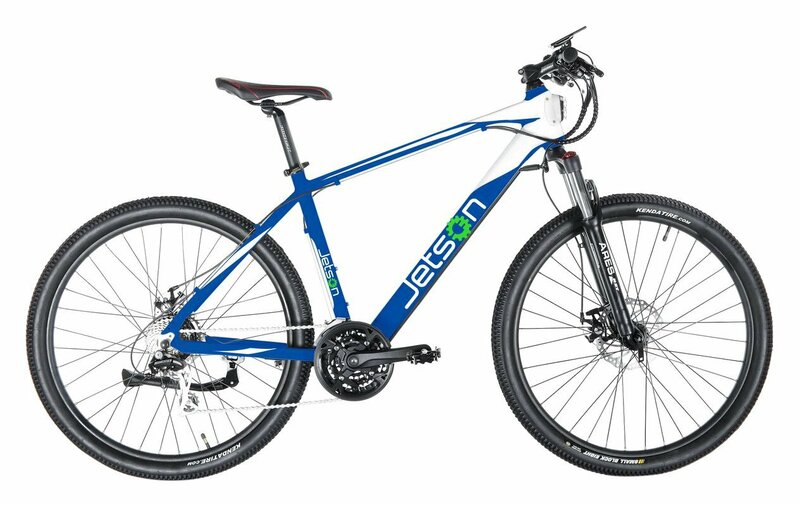 Add the Jetson 26″ E Mountain Bike to your cart today.